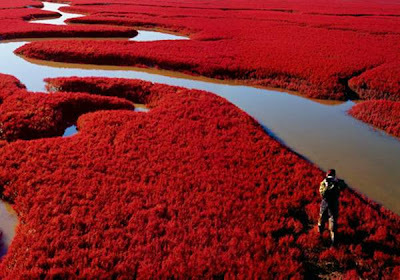 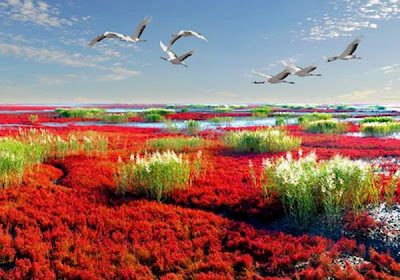 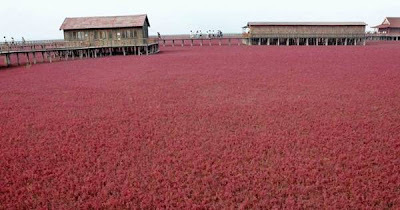 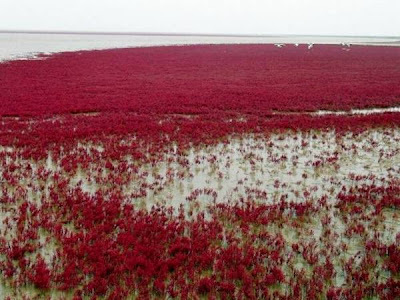 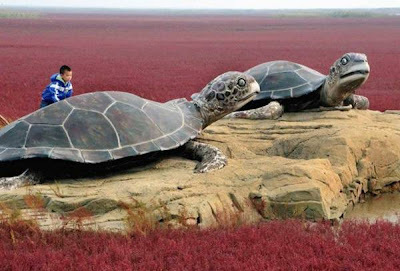 Red Beach is located in Panjin, Liaoning Province, in northeastern China. 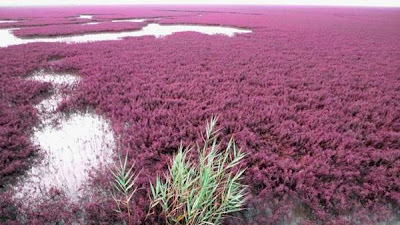 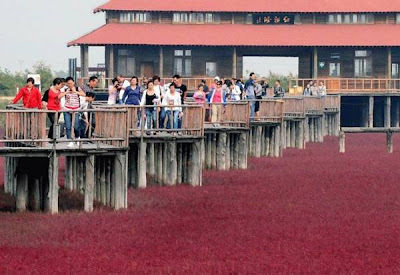 It is the largest and best protected wetland in the world with rare and precious red reed marshes. 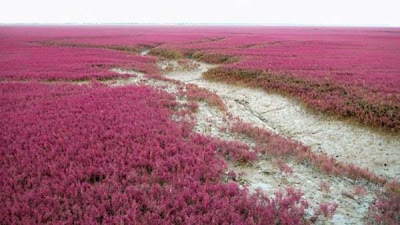 The ebb and flow of the sea forms the beach, while the infiltration of salts and alkali contributes to its red appearance. 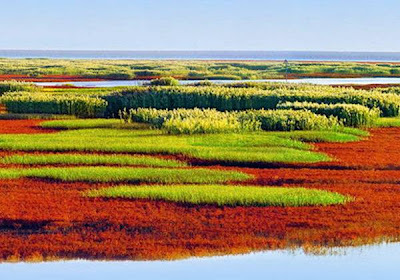 The 100 square kilometers of reed marshes turn color during September, becoming spectacular vistas. 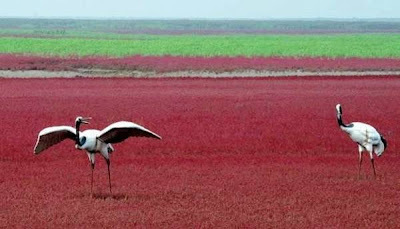 The well-preserved wetlands are also home to large numbers of wild birds, including red-crowned cranes and Saunders' gulls. 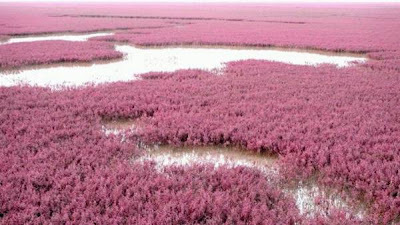 The beach is a popular tourist site for those who live inside and outside Liaoning Province.